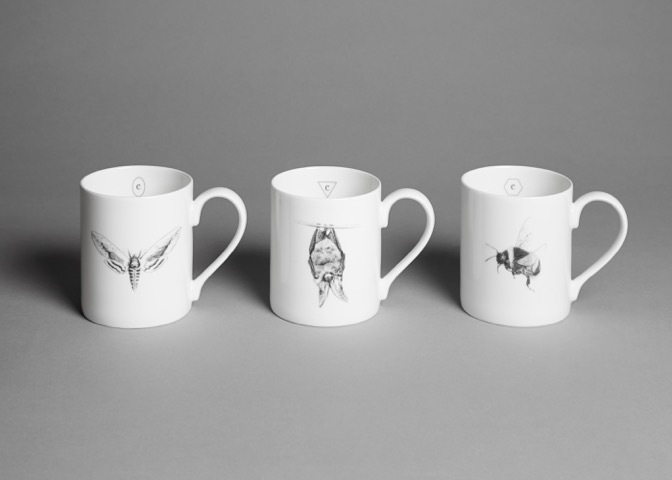 Saltmarsh is the 5th and latest addition to the British Wildlife Collection. 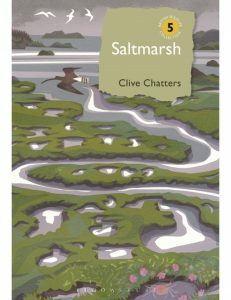 In this passionate and eloquent book, Clive Chatters celebrates some of our most beautiful and exceptional saltmarshes, bringing to life this mysterious and ever-changing habitat. 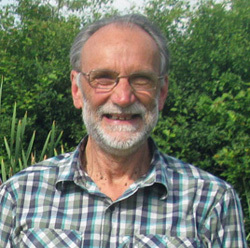 To celebrate its publication, we recently chatted to Clive about the book and about conservation of saltmarshes in the UK. 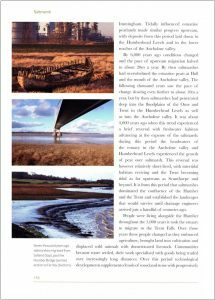 Your book is incredibly well-researched and is packed with fascinating details on the history, ecology and management of saltmarshes in the UK. However, if you were to be faced with an audience of people who know absolutely nothing about saltmarshes, their beauty or their value – what are the key things you would tell them to inspire and pique their interest? Talking about Saltmarshes is no substitute to joining the audience on a short walk and experiencing the landscape first-hand. In a modest stroll one can share the reek of the mud and the companionable cry of waders. The breeze will bring minute particles of brine to our lips, a piquant introduction to a habitat so alien from our own. I would hope that such a stroll would leave people wanting more. Some of the most enjoyable parts of the book for me were the historical accounts of the saltmarshes; finding out how both common people and nobles, together with the shifting political framework throughout the ages, influenced the landscape of our country. Is history a particular passion of yours and do you think that an understanding of a region’s history is important for current and future conservation decisions? Our encounters with wildlife are just snatched insights into the lives of countless other species. Britain’s landscape has co-evolved with people, we are a part of our nation’s native fauna. By understanding how that relationship has developed we can better understand our place in the world and so appreciate our responsibility for the consequences of our actions. To quote from the end of your book, “all habitats and landscapes are subject to change”. However, saltmarshes are arguably under the influence of a greater range of factors in comparison to many other habitat types; with short- and long-term fluctuations in tides, sea level rise and land subsidence in addition to the inevitable human impacts of agriculture and land development. For these reasons, do you think that saltmarshes are uniquely difficult to provide a conservation plan for? Nature conservationists are asked to master a host of interactive challenges. There are common themes covering all habitats and species that focus on safeguarding interconnected landscapes and securing the wherewithal to allow ecological processes to progress unimpeded. In saltmarshes this usually means making spaces for tides and sediments to move and for the vegetation to develop in the presence of large grazing animals. Saltmarshes are particularly demanding as they shift across the landscape at a rate that can outpace our ability to manage change. If we fail then human life and property are at risk and the diversity of the natural world is diminished. As a long-term naturalist with a rich and varied career, what do you think (or hope) will be your most important legacy to conservation? All any of us can do is hope to leave Britain’s wildlife in better heart than when we first grew to know it. To me success is measured by rejuvenating conditions in which wildlife can cope with whatever changes are yet to come. The research and writing of Saltmarsh must have been an immense undertaking. I’m curious what is next for you? Are there plans afoot for further books? I enjoy writing as it helps to marshal the results of my curiosity into a semblance of order. If others enjoy what I’ve written then there are many more stories to tell. 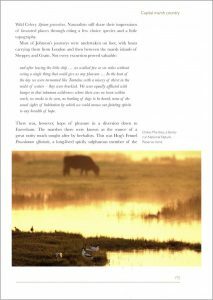 Saltmarsh was published as part of the British Wildlife Collection; a series of books, each covering an individual aspect of British natural history. From the first publication in 2012, they have covered such diverse topics as mushrooms, meadows and mountain flowers, and books have been written by some of Britain’s finest writers and experts in their field. Filled with beautiful images, these wide-ranging and well-researched titles are a joy for any naturalist who is passionate about British wildlife and landscapes. Bowland Beth dramatises the short life of an English hen harrier between 2011 and 2012 and immerses the reader in the day-to-day regimen of her life. Interweaved with her story is the larger tale of the species fight for survival under the constant threat of persecution. 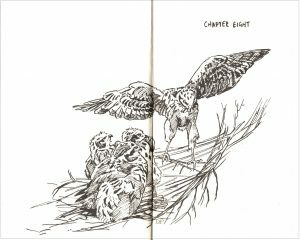 In this article our book specialist, Nigel Jones, talks to the author, David Cobham, about the plight of the hen harrier and his hopes for the future of this glorious bird. 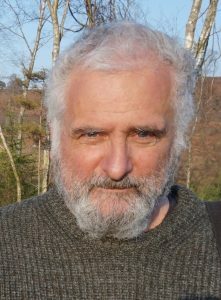 The Author of Bowland Beth, David Cobham. There are numerous organisations and NGOs in the book who want the same outcome for the hen harrier, but who seem to be in conflict as to how to achieve their aims. What strategy do you think would enable all these groups to speak with one voice; do you think this would help when confronting powerful lobby groups such as the landowners and their connections in government? The problem lies in some organisations wanting an outright ban on driven grouse shooting. That is not going to happen as has already been demonstrated. What we all have to work for is a system of licensing driven grouse moor shooting. Controlled by DEFRA a driven grouse moor would be licensed to operate and granted the subsidies that are substantial. If a case of illegal killing was proven in court the license for driven grouse shooting would be revoked for 3 years. I believe this would get a majority backing. The hen harrier in your book is named Beth. I encounter some people who disapprove of naming animals, they claim this is anthropomorphism and inappropriate to conservation. What would you say to those people? Mark Avery in his review of my book saw exactly what I was trying to do. Ring numbers or tag numbers are impersonal. By giving them names it makes us feel closer to the birds. The news that Bowland Beth has died is much more heart wrenching than that 834759 has died. Sadly, I have never seen a hen harrier. Your description of them is written with such a passion akin to awe that I am now determined to see one of these birds for myself. What chance does an everyday person like myself have of seeing a hen harrier in the wild? A survey last year reported that there were 4 breeding pairs of hen harriers in England – none of them on grouse moors. The best time to see hen harriers is in the winter when there is a considerable influx of hen harriers from the Scandinavian countries. They pitch up from October on the east of England and can be seen as they come into roost in reed beds on the coast or in damp areas with shelter from silver birches inland. They return north to breed in mid-March. The landowners say they need to make an income from the moors, and driven grouse shooting is the only way they can do this. They will put the case for local employment and, like the debate around foxhunting, accuse opponents of not understanding ‘the countryside.’ Do you think a ban on driven grouse shooting is the only way to force the landowners hand, or do you think working alongside landowners to assist with techniques such as brood management and diversionary feeding is the best way to proceed? Brood management is just one of six measures in DEFRA’s save the hen harrier project. It is a concession to the grouse moor owners. This is how it will work. First, when a nest is found on a grouse moor, diversionary feeding must be tried. This involves feeding day old chicks during the six week period when hen harriers take grouse chicks. They are placed on a plank supported by trestles about 30 metres from the nest. Trials at Langholm showed that this method reduces chick predation by 86%. If another hen harrier nests within 10 km of the original nest then brood management comes into play. 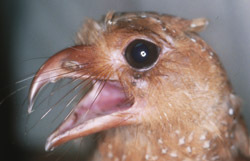 The clutch of eggs is removed and hatched in an incubator. They are taught to feed. When they can feed themselves they are placed in an aviary out on the moor. Monitored by experts they will be given a “soft” release and continue to be fed until they are self sustaining. If the trial is shown to fail due to illegal killing it will cease immediately. I’m quite cynical about this. I think a lot gamekeepers won’t allow a hen harrier to nest on their moor and furthermore there are not enough hen harriers breeding on grouse moors in England to justify this procedure. There are some conservationists that advocate adopting a more laissez-faire approach to extinction, moving priorities to bio-abundance rather than biodiversity and accepting that extinction and invasive species are part of the evolutionary process. What are your thought regarding this way of thinking? I quote directly from my book. An extract from The Diversity of Life by Professor Edward O. Wilson: “We should not knowingly allow any species or race to go extinct. There can be no purpose more enspiriting than to begin the ages of restoration, reweaving the wondrous diversity of life that still surrounds us”. The hen harrier was extinct as a breeding bird in England in 2013. Its fate lies in our hands now. Despite the hen harrier being a totem and emblematic of a battle between conservationists and those wishing to preserve a ‘rural way of life;’ a quick straw-poll I conducted indicated little knowledge of the bird. However, with more knowledge, I believe the majority would care about the hen harrier. How can the plight of the hen harrier compete in a media blizzard of often superficial and meaningless content? When Bowland Beth was shot we believe she had just found a mate. Her femur was fractured, six of her tail feathers cut through and her femoral artery nicked. She picked herself up and flew unsteadily off, streaming blood behind her. Her vision blurred and she crashed into heather. Don’t tell me that birds don’t feel pain. She must have been in exquisite pain. I know about pain. I broke my femur last October, and lay there for six hours before I was found. That is the bond I have with Bowland Beth. Do you believe satellite tagging is a good way to monitor hen harriers, and if so why? Illegal killing of hen harriers continues. There is an arms race – sophisticated satellite tagging versus state of the art weaponry. Since 2007 36 hen harriers satellite tagged by Natural England have “disappeared”. Bowland Beth was one of them. The Hawk and Owl Trust satellite tagged two hen harriers last year. The male, Rowan, was shot last October in the north of England. His leg was smashed and he was able to fly some distance before collapsing in the heather. Sorrel, a female, is alive and well and flourishing in Scotland. Protecting the hen harrier requires dedication, passion and commitment to the cause of conservation, often from volunteers working long hours in all weathers. What would you say to inspire a future generation of conservationist to take up the baton? To watch a young hen harrier successfully fledge from her nest and set out into the unknown is the start of a Great Adventure. Sharing this knowledge with other weary volunteers who have probably not seen anything all day re-invigorates them, gives them the impetus to go out again and search for that elusive V-shaped image of a hen harrier, searching up and down, for its favourite prey, short-tailed field voles. 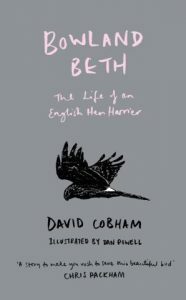 Bowland Beth: The Life of an English Hen Harrier, written by David Cobham and illustrated by Dan Powell, is published by William Collins and is available in hardback. Orison for a Curlew takes us on a pilgrimage in search of the slender-billed curlew; once a common sight in its breeding grounds of Siberia, but now diminished to a handful of unconfirmed sightings. 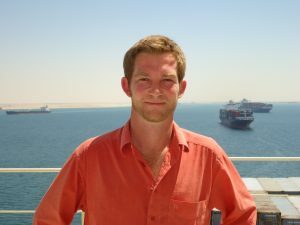 In this article, one of our book team Nigel Jones, talks to the author, Horatio Clare, about conservation, environmentalism and his hopes for the future of the titular bird. Despite the rather gloomy prognosis for the fate of the slender-billed curlew, your book seems to me about hope. Are you optimistic that conservation will gain ground due to stories such as the plight of Numenius tenuirostris, or do you think this story is more of a prelude of things to come? It is about hope. I do think the hunger for watching nature footage, and writing and reading about the natural world will translate, given the unavoidable nature of climate and environmental awareness as the world changes, into action. My sense of my generation, currently in our forties, is that we came out of an easy time – the nineties – well aware of how lucky we were, and how things were going with the planet and capitalism generally – and that we have not seen the best of us yet. We have been getting it together, I know of great people in powerful positions, and others doing tremendous work, and I hope things will change for the better. Brexit and Trump are shattering reversals for the world and nature, but not insurmountable. Moreover, it seems the slender-billed curlew may not be on the way out! A population may breed in Kazakhstan and the birds may have been seen and filmed a few years ago in Holland. Being such a delicate and ethereal creature; do you think the slender-billed curlew was always vulnerable to possible extinction, regardless of human activity; was there a more dominant species pushing it out of it’s niche? No I am sure we are the dominant species which pushed it out, by draining marshes and polluting the water. It was surely vulnerable in that it is highly specialised. The relentless corrosion of diminishing natural spaces is a strong theme in your book. The argument for development is usually ‘people come first’ and, by definition, wild spaces are mainly unoccupied by people. I would love to see the hundreds of white pelicans, spiralling up to find the thermals that you describe. However, most of us will only see a spectacle such as this on television, or envisage it vicariously. For me this is the paradox of conserving wild spaces for their own sake – how do we get everyone involved with conservation when only a few people ever get to experience what it creates? How do we make wild spaces matter to everybody? Knowledge of the natural world and knowing what you are looking at can make a walk in the garden, park or road a safari. That is the way you make every space matter: put names and stories on the creatures that inhabit it. Funnily enough I have written two children’s books on the subject! Which makes me think, children’s literature being a kind of menagerie, we all begin as nature-lovers; it’s just that some adults discount the planet’s marvels, and certainly its needs. And of course corporations exist solely to harvest the planet’s riches as quickly as possible, heedless of environmental cost, if they are allowed to be, for the benefit of share-holders. I think some form of cooperativism between individuals and between nations offers the only hope for long-term sustainability. It is a sin to cause the extinction of a species, as Prof Kiss puts it in Orison. To fail to prevent the extinction of a species seems of a different order, if hard to enjoy. If you regard our privilege of dominance as responsibility, then we have a duty to look after all of what used to be called God’s creatures. We should not really accept anything less than bio-abundance and biodiversity, should we? I really enjoyed meeting all the people in your book; their dedication, passion and commitment to the cause of conservation was wonderfully described, without ever reducing them to parodies or caricatures. For me they represented the ‘hope’ in your book. However, they all seemed at odds with the world, probably viewed by their relative governments as part of an ‘awkward squad’ and their work and funding was often in decline. What would you say to inspire a future generation of conservationist to take up the baton? With journalism going through tough times, there is no better way to have the fun and the interest of being the awkward squad, travelling the world, getting up the noses of baddies and making the planet a better place than becoming an environmentalist! What a blessed and admirable profession! What adventure it offers! And…the happiest people you meet are naturalists and environmentalists, on the whole, though they deal in tragedy and folly often. The hunting for sport, the mist nets and the bird markets make for a very threatening environment for migrating birds. However, it’s the drainage of the marshes for agriculture and the encroachment and contamination of heavy industry that you more frequently allude to as the biggest threat. Do you see hunting as a potential partner to conservation, or are those two pursuits always going to be in conflict? Having just read Bowland Beth: The Life of an English Hen Harrier by David Cobham I feel hunting is unhelpful, if not abominable, but that may be a grouse-centric view. In Greece the numerous hunters are thought of with something like revulsion by some conservationists; the hunting I saw while living in Italy was an absolute disgrace. No doubt many hunters are great and ardent conservationists. Unfortunately many are not. 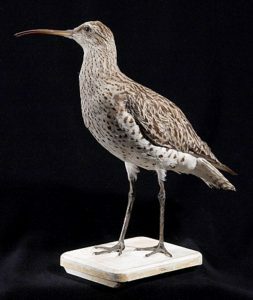 The slender-billed curlew sightings in recent history are difficult to verify. What are your hunches about their authenticity and when was the last recorded sighting that you believe was accurate? The birds filmed in Holland in 2013 seem genuine but I am no expert. I believe they are seen – and recorded – now and then. I heard a report from Oman, but a confirmed sighting is a tricky thing: it seems you need two or more photos and absolute proof. My friend Istavan Moldovan is cautious about the 2013 footage – as I write he is chasing relict populations of Apollo butterflies in the Carpathians in Romania. Does that not sound like a great career? The last question is a simple one, but maybe the most difficult to answer. I know you certainly hope so, but do you believe Numenius tenuirostris will ever be seen again? I absolutely do. I am quite sure they are out there and it is my dream to see one! Thank you so much for your wonderfully intelligent and acute questions, quite the best! 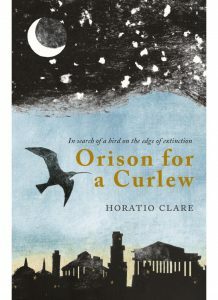 Orison for a Curlew, written by Horatio Clare and illustrated by Beatrice Forshall, is published by Little Toller Books and is available in paperback and hardback. Little Toller was established in 2008 with a singular purpose: to revive forgotten and classic books about nature and rural life in the British Isles. Their Nature Classics Library series was established to re-publish gems of natural history writing, with up-to-date introductions by contemporary writers. The success of the series has now developed into a publishing programme which includes a series of monographs by authors like Fiona Sampson, John Burnside, Iain Sinclair and Adam Thorpe as well as stand-alone books – all attuned to nature and landscape and aimed at the general reader. 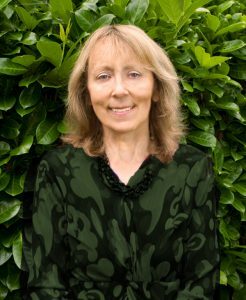 Each Little Toller writer brings something new to the series – but it’s always characterised by a deep understanding of the subject, combined with wonderful writing. A sense of the personal reaction to the natural world is imperative. 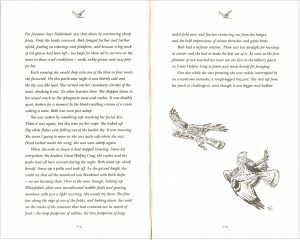 Little Toller also pay a great deal of attention to the aesthetic of their books, using artists to complement the writing to create a beautiful object, befitting Little Toller’s high publishing standards. Little Toller is now preparing its books for the latter part of the year, notably the first ever biography of the legendary but enigmatic J A Baker, author of The Peregrine, and access to the new Baker archive has led to important new insights into his life. 2018 will see new books from Tim Dee on Landfill, a book about Ted Hughes and fishing called The Catch, and an examination of the landscape of the north of the Irish republic from Sean Lysaght. Little Toller’s sister charity Common Ground is also working on a large exhibition at the Yorkshire Sculpture Park next year, for which there will be a raft of publishing. 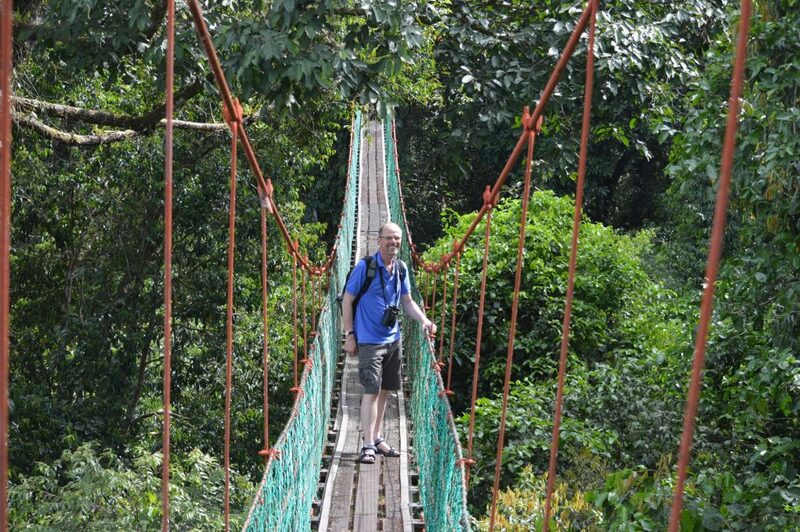 Chris D. Thomas on a field expedition in Danum Valley, Sabah, 2015. 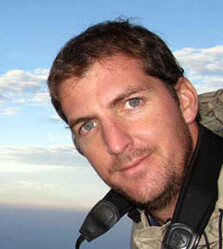 Chris D. Thomas is a Professor in the Department of Biology at the University of York and was elected as a Fellow of the Royal Society in July 2012. He has an interest in understanding how humans have changed the biological world, and how we might protect the biodiversity that remains. 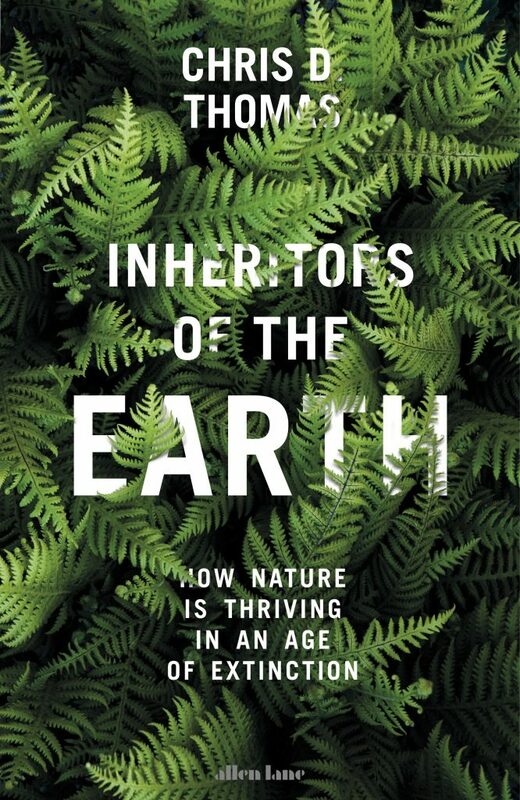 His first book, Inheritors of the Earth, is a very interesting and thought-provoking read on the current mass extinction crisis, and conservation philosophy in general, focusing on the proverbial winners, and calling out conservationists for holding viewpoints that seem more driven by nostalgia than by logical thinking about the biological future of our planet. Sure to ruffle some feathers, NHBS nevertheless believes that this book makes an important contribution, and that his arguments are more balanced than a cursory glance might suggest. We contacted Chris with a list of questions that arose after reading it. 1. In your book, you quite rightly argue that, despite species going extinct, there are species who are benefitting from our presence and the changes we have wrought to our ecosystems. You acknowledge that our influences largely seem to result in an accelerated introduction of species in new areas. Will the net result of this great reshuffling not be a world that is suited only to generalist species (the proverbial rats and pigeons) at the expense of specialists? This is not quite how I see it. Take your two examples. The Asian brown rat was a regular rodent (granted it was omnivorous, but so are many other rodents), before it hitched a lift with us around the world. Today, the brown rat mainly lives in and around human habitation and farmland, except on islands that lack native rodents, so you could simply call it a specialist on human-modified environments. The feral or town pigeon originated as a specialist cliff-nesting pigeon (the rock dove) in western Europe, the Mediterranean, and into western Asia. It is still a cliff-nesting bird, living on our buildings. Neither the feral pigeon nor the brown rats are unusually generalised, relative to many other birds and mammals. It is their proximity to us that makes us think of them as generalists. I don’t think we should synonymise ‘successful’ or ‘living in human-modified environments’ with being a ‘generalist’. 2. In Chapter 6, “Heirs to the World”, you mention that most current conservation efforts focus on trying to defend the losers. You argue that, though honourable, it will be more effective to back the winners, i.e. those species that will make up future biological communities. An important theme in the recent book Never Out of Season: How Having the Food We Want When We Want it Threatens Our Food Supply and Our Future is that the loss of wild crop varieties through extinction is threatening our future food supply. Many of these wild varieties might have the potential of providing new food sources when our current crop varieties will inevitably succumb to new insect pests or pathogens, or can provide other benefits (e.g. pharmaceuticals). This is why projects such as the Svalbard Global Seed Vault and other seed banks are so important. 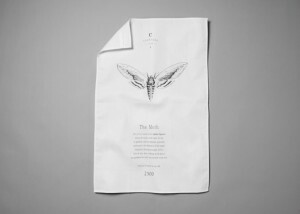 Do you see any value in the conservation of threatened species, or is this crying over spilt milk? I argue that we should in most instances continue to protect ‘species’. Rare species may become common and hence fulfil important roles in future ecosystems, and species that we currently ignore (or have not yet discovered) may become economically, medically or socially important to us in the future. Hanging onto as many species as possible is not a preservationist agenda, but rather a means of maintaining the building blocks of future ecosystems, fuelling biological changes that will take place in the coming centuries. Similar arguments apply to rare genes that belong to wild relatives of plants and livestock that we already use. They provide long-term resilience and flexibility. 3. In Chapter 11, “Noah’s Earth”, you call for a new conservation philosophy that acknowledges that life is a process, not a final product. In your view, this philosophy would rest on four overarching principles: a) accept change, b) maintain flexibility for future change by conserving species wherever possible, c) accept that humans are natural and that anything we do is part of the evolutionary history of life (this includes not shying back from employing any and all solutions at our disposal, including genetic techniques – none of them will make the world less natural), d) live within our natural boundaries. In the remainder of that chapter you elaborate on the first three principles, but not the fourth. How do you envision realising this fourth principle? Harvesting a species faster than the survivors can reproduce can be thought of as a relatively ‘hard’ natural boundary (once a species is extinct, it is no longer a resource), but other bounds are much softer (a forest with one fewer species still grows), and hence we often need to specify tolerable levels of change, rather than catastrophic points of no return. These issues deserve book-length treatment on their own, which is why I did (deliberately) somewhat duck the issues! When I refer to the ‘least possible collateral damage to the global environment’, I am thinking about the development of technological and social ‘game changers’. For example, most meat production is based on filling our fields and barns with cows, sheep and chickens, which we then kill for food. If we could switch to the consumption of ‘factory-grown’ cultured meats, powered by renewable energy, it would dramatically reduce pressure on the land; although admittedly not by as much as if we all became vegetarians. 4. Your book makes many valid points as to how our current thinking around species conservation is in conflict with itself, or simply illogical (e.g. the distinction between native and invasive species, because, seen over long enough time scales, species distribution has always fluctuated. Or the idea that there is no one period in the history of life that we can take as a benchmark of the idealised pristine state the world should be in. Or simply the idea that conservation means “freezing” the world in its current (or a former) state – after all, the only constant of life on our planet has always been change). You also, provocatively I would say, argue that many island species that have gone extinct were effectively already evolutionary dead ends, having evolved in environments free from predators and pathogens. We have merely hastened their demise, but they would eventually have gone extinct anyway. Should we really give up on them? 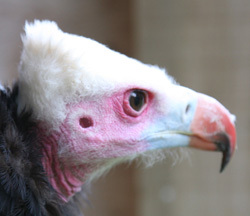 I don’t think it is particularly controversial (or provocative, therefore) to say that most flightless and disease-susceptible terrestrial birds (as opposed to seabirds) that live on oceanic islands represent evolutionary dead-ends, on a time scale of ten or so million years. What are the alternatives? They would never be able to establish viable populations on continents because pathogens and predators are present. Confined to their island homes, they would eventually have died out, either when the islands eroded away, or when additional continental species arrived without human intervention (for example Darwin’s finches have ‘only’ been on the Galapagos for two to three million years). In most cases, we have accelerated the extinction of such species but not altered their eventual fate. What we should do with the few remaining survivors is another issue. What I argue in Inheritors of the Earth is that we should think quite broadly. Can we introduce new genes to disease-susceptible birds that will make them resistant (for example to save the remaining Hawaiian honeycreepers)? Can we cross predator-susceptible birds with related species that reproduce fast enough to survive the new levels of predation (for example to save New Zealand black stilts)? Could we introduce new strains of bird malaria that are less potent, and displace the existing fatal ones? In other words, can we make the endangered island forms more resistant in some way and the continental invaders less virulent, so that long-term coexistence becomes possible? If not, then maybe we should indeed abandon some of the losers, and contemplate releasing continental walking birds (which can resist pathogens and predators) and pollinators, rather than dwell too long attempting to recreate a biological world that was inherently unstable. 5. One argument in favour of trying to conserve the “charismatic megafauna”, such as elephants and rhinos, are that they function as flagship species, and that conservation efforts aimed at them can benefit whole ecosystems. In your book, you don’t really go into this. What are your thoughts on the concept of flagship species, especially in light of your argument that “defending the losers” is ultimately a lost cause? I am generally in favour of large, flagship species because they require large areas to protect, and this indirectly benefits many other species (though flagship conservation is not sufficient because it may miss areas of endemism). They are also culturally important to conservationists as well as to the general public, gaining public and political support for conservation. The giant panda has been globally important, and critical to the conservation of Chinese forests, despite being a slightly ‘dodgy species’! When I discuss losers, remember that I then add the question “can we turn them into winners” (or at least into survivors). For the large megafauna that still survive, this is easy. We can choose not to hunt them to extinction any longer. It is already the case that large birds and large mammals are tending to recover in Europe and North America, and this is also true of the Great Whales. They were losers in the context of historic human culture, and there is no necessary reason why they ‘must be’ losers. Once ivory and rhino horn ‘culture’ is turned around, there will be nothing ‘wrong’ with these species either. 6. If you were put in charge of a major conservation organisation, say WWF, what would you do differently? Would you, for example, have greenlighted their recent campaign to try and protect the last remaining individual vaquitas (the threatened porpoise endemic to the Gulf of California)? I’m not going to answer your first question because that would be a whole new book (or job if they offer it to me!). I’ll just say that, on day one, I would request a review of activities, and for every measure currently being undertaken to prevent change or decline, I would ask for the staff to develop an additional measures to promote changes that would increase diversity (or the status of an endangered species). As for the vaquita, I am no expert. However, it is evolutionary distinct, and it is a perfectly viable species if we were stop killing it (including through gillnets). It is not a species that one should necessarily give up on. More broadly, it is a symptom of the mismanagement of the world’s marine resources. We sorted out farming on land a long time ago, but we are still more or less acting as hunter-gatherers in the marine realm. It is hopelessly inefficient. If I had an infinite supply of money, I would be looking to invest in fish farms (they can be locally damaging, but humans still need food), and I would also invest in new GM crops which produce fish oils so that the farmed fish could be fed on terrestrial plants rather than ‘wild caught’ marine resources. Beyond that, I would invest in cultured fish meat (factory grown muscles), further reducing the need to catch wild fish. The aim would be for virtually all fish consumed in the year 2100 to be farmed or, ideally, cultured as tissues in factories. Whether or not the vaquita itself can be saved, these strategies are all about generating permanent means of providing a global supply of fish meat without causing anything like as much collateral damage as takes place at present. 7. As mentioned above, I think your book makes excellent arguments. And yet, reading it also brought with it a certain sense of unease. It almost feels a bit defeatist, as if we might just as well give up on fighting to save threatened species and just go with the flow. I can see this argument not being popular. A lot of people feel we have a moral responsibility, as an intelligent, thinking species, to not drive other species over the edge, and to put a stop to our destructive ways. Isn’t saying “everything we do is natural, we are just another step in the evolution of life” a bit of a cop out? I’ll leave others to discuss morals! Saying that everything is natural, including all conservation actions we take, allows us to take ‘affirmative action’ for wildlife in a manner that some conservationists would historically have been nervous about (“I can’t do that, it would not be natural”). So, I see it as an opening up of new conservation opportunities, not a cop out. 8. It is perhaps a bit early to ask you how the book has been received. But, clearly, when a book like this is written, it is often based on years of work and research that has led up to it. These ideas did not just appear. So, how have your viewpoints been received so far? The response to the book seems good so far, but it is far too early to judge. You are right, I have put some of these views out there previously, and they have received a mixture of responses. Many people seem very supportive. However, invasive species biologists are mostly negative, I think fearing that non-native species legislation could be undermined, more than genuinely questioning the biological thesis (that may just be my interpretation). There are also those, such as E. O. Wilson, who consider that I and others are being Anthropocene apologists. I understand their point, but we cannot simply continue to wish that we live in an unchanged world. We have to develop an understanding of biology, and an approach to conservation, that works with change rather than against it. 9. Obviously, there are many parties in our society who stand to gain a great deal from ignoring conservation concerns and steam-rolling ahead with “business as usual”, continuing to destroy natural habitats for corporate gains. With this book now poised to be published, do you not worry that your narrative will be hijacked, the way has happened with the debate surrounding climate change? I can already see people using your arguments to legitimise their actions, arguing along the lines of “this biologist said that the extinction crisis really isn’t such a big deal. See? Lots of species doing really well!”. Have you considered strategies to prevent this from happening? I nearly didn’t put fingers to keyboard for this very reason. However, if we build a case for conservation based on a loss-only view of the world, eventually it will fall. The edifice is already creaking. A more balanced view that admits to the reality of biological gains as well as losses should, in the end, lead to more rational decision-making. As for the extinction ‘big deal’, biological gains of the Anthropocene do not let us off the hook. A simple linear extrapolation of the current rate of extinction wipes out about three-quarters of all species in the next ten millennia. This is risky, given that species represent our planet’s biological parachute. All future ecosystems will be formed from the descendants of existing species, and we do not know which of today’s currently-rare species will be important components of future ecosystems (especially if humans alter the planet in yet another, unexpected way). Letting rare species go could have major long-term consequences. My advice would be not to discard the biological building blocks of our planet lightly. The Sensory Ecology of Birds is a fascinating new work that explores the sensory world of birds from an evolutionary and ecological perspective. 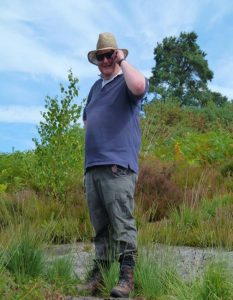 The author Professor Graham Martin gives us some insights into his inspiration, the incredible diversity of avian sensory adaptations, and how studying sensory ecology can help in developing practical conservation solutions. How did you first become interested in bird senses? Through owls. As a child I used to listen to tawny owls calling all through the night in a nearby wood and I wanted to know what they were doing and how they did it. 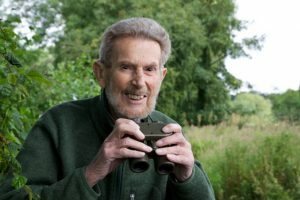 My father took me round the woods at night and that experience led me to wanting to know more about the eyesight of owls. What inspired you to write the book and what kind of readers do you think would find it useful? I have been studying bird senses all of my working career. Nearly 50 years ago I started to get paid for looking into bird senses; it has been a strange and exciting way to spend my time. After such a long time of investigating the senses of so many different birds I wanted to bring it all together, to provide an overview that will help people understand birds from a new perspective. I think anyone interested in birds will enjoy the book and find it useful. 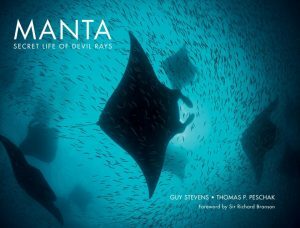 No matter which group of species intrigues you most, this book will enable you to see them from a new perspective. Understanding bird senses really does challenge what we think birds are and how they go about their lives. Sensory ecology is a relatively new field of research; could you explain a little about what it is and what makes it particularly relevant today? Sensory Ecology is basically the study of the information that birds have at their disposal to guide their behaviour, to guide the key tasks that they perform every day to survive in different types of habitats. Different habitats present different challenges and to carry out tasks animals need different sorts of information. Birds have at their disposal a wide range of different sensory information, they are not just reliant upon vision. However, each species tends to be specialised for the gaining of certain types of information. Just as each species differs in its general ecology, each species also has a unique suite of information available to them. Sensory ecology is also a comparative science. It compares the information that different species use and tries to determine general principles that apply to the conduct of particular behaviours in different places. For example how different birds cope with activity at night or underwater. Sensory Ecology also looks at why evolution has favoured particular solutions to particular problems. I think the major result of this kind of approach is that it certainly challenges our assumptions about what birds are and also what humans are. We do not readily realise that our view of the world is very much shaped by the information that our senses provide. We are rather peculiar and specialised in the information that we use to guide our everyday behaviours. My hope is that people will come to understand the world through birds’ senses, to get a real “bird’s eye view”. In doing so we can understand why birds fall victim to collisions with obvious structures such as powerlines, wind turbines, motor vehicles, glass panes, fences, etc. We can then work out what to do to mitigate these problems that humans have thrown in birds’ way. An understanding of how a species perceives its environment can be very useful in designing practical conservation measures. Could you give us some examples? Yes, I have been involved in trying to understand why flying birds apparently fail to detect wind turbines and power lines, or diving birds fail to detect gill nets. These investigations have led to a number of ideas about what is actually happening when birds interact with these structures and what we can do to increase the chances that birds will detect and avoid them. How do you think that studying avian sensory ecology can enhance our understanding of our own sensory capabilities and interaction with the world? It gives a fresh perspective on how specialised and limited our own view of the world is. We make so many assumptions that the world is really as we experience it, but we experience the world in a very specialised way. Sensory ecology provides lots of new information and facts about how other animals interact with the world, what governs their behaviour, but equally importantly sensory ecology questions very soundly our understanding of “reality”, what is the world really like as opposed to what we, as just one species, think it is like. This is quite challenging but also exhilarating. We really are prisoners of our own senses, and so are all other animals. Sensory ecology gives us the opportunity to understand the world as perceived by other animals, not just how we think the world is. That is really important since it injects a little humility into how we think about the way we exploit the world. Could you give us some insight into how birds can use different senses in combination to refine their interpretation of the world around them? Owls provide a good example. Their vision is highly sensitive but not sufficiently sensitive to cope with all light levels that occur in woodland at night, so owls also rely heavily upon information from hearing to detect and locate moving prey. The nocturnal behaviour of owls requires these two key sources of information but even these are not enough. To make sense of the information that they have available to them the woodland owls need to be highly familiar with the place in which they live, hence their high degree of allegiance to particular sites. Other birds, such as ducks, parrots and ibises rely heavily upon the sense of touch to find food items. The degree to which this information is used has a knock on effect on how much the birds can see about them. So a duck that can feed exclusively using touch, such as a mallard, can see all around them, while a duck that needs to use vision in its foraging cannot see all around. This in turn has implications for the amount of time birds can spend foraging as opposed to looking around them, vigilant for predators. In many birds the sense of smell is now seen as a key source of information which governs not just foraging, but also social interactions. Are there interesting examples of species that are specialists in one particular sense? Usually birds rely upon at least two main senses that have become highly specialised and which are used in a complementary manner. For example, in ibises it might be touch and vision, in kiwi it is smell and touch, in some of the waders it is touch and taste, but in other waders touch and hearing. Probably the most obvious single sense specialisations are found among aerial predators such as eagles and falcons, they seem to be highly dependent upon vision to detect prey at a distance and then lock on to it during pursuit. However, we really don’t know anything about other aspects of their senses and there is a lot left to learn about them. Can you tell us about any species that you have studied that you find particularly fascinating? Oilbirds; they are really challenging to our assumptions about what birds are, how they live and what information they have available to them. Oilbirds are the most nocturnal of all birds, roosting and breeding deep in caves where no light penetrates, emerging only after dusk and then flying over the tropical rain forest canopy to find fruit. But they are a form of nightjar! In the complete darkness of caves they use echolocation to orient themselves and calls to locate mates. When searching for food in the canopy they use their sense of smell to detect ripe fruits, they have long touch sensitive bristles around the mouth. And their eyes have sensitivity close to the theoretical limits possible in vertebrate eyes. They seem to rely upon partial information from each of these senses, and use them in combination or in complementary ways. They really are marvellous, but in truth the senses of any birds, and how they are used, are fascinating and intriguing, it is a matter of delving deep enough, and asking the right questions. In what kind of direction do you think future sensory ecology research is headed? We now have available a lot of techniques to find out about the senses of birds, from behavioural studies, to physiology and anatomy. Armed with these techniques, and also with ways of thinking and measuring the perceptual challenges of different tasks and different environments, there are so many questions to investigate. We have some fascinating findings but we have only just scratched the surface with regard to species and it does seems clear that senses can be very finely tuned to different tasks. I like to compare the diversity of the bills that we find in birds with the same diversity in the senses in those species. 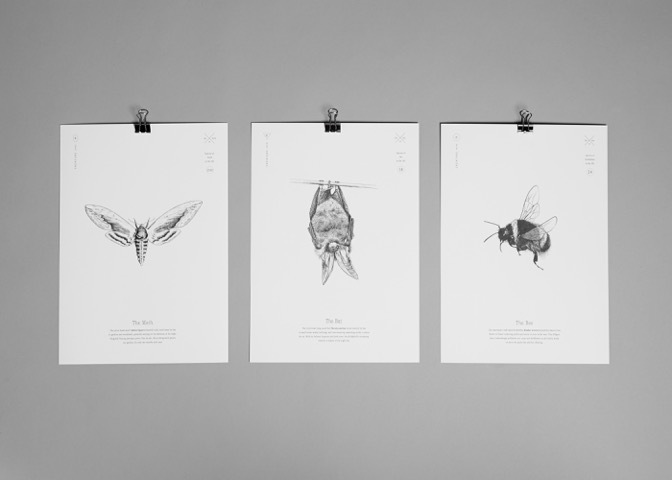 Every bill tells a story about form and function, about evolution, ecology and behaviour. The senses of birds show the same degree of diversity and tuning. So to me sensory ecology is a wide open field with lot of questions to investigate. To appreciate the world from a bird’s perspective will, of course, give us a much better understanding of how to mitigate the problems that humans have posed to birds by shaping the world for our own convenience. 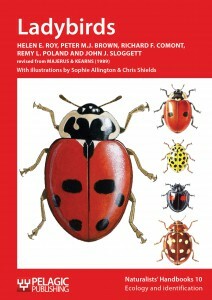 Helen Roy, Ecological Entomologist at the Biological Records Centre, is one of a team of authors who have been involved in the revision of this classic Naturalists’ Handbook. I see from your professional history that throughout most of your career you have been involved in research with ladybirds. What originally drew you to these fascinating insects? Does it stem from a childhood interest? Ladybirds are fascinating beetles. I can remember, as a small child, observing ladybirds as they emerged from their pupal cases on the vegetables in our garden on the Isle of Wight. Simply magical and I was entranced. Throughout my childhood I pursued my passion for natural history and have been so fortunate to continue to do so through my working life. 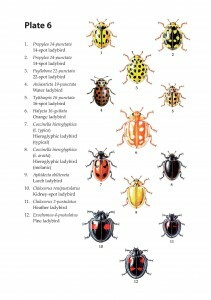 What do you feel are the biggest pressures on UK populations of ladybirds at present? There are many factors that contribute to dynamics of insect populations. In recent decades the effects of environmental change on insect populations has been the focus of my research. It is widely recognised that invasive alien species, climate change and habitat destruction are all major players in the declines of many insects. Ladybirds are no exception. However, there are so many questions that remain unanswered. It is important that we address these questions with robust and rigorous research. We have so much to learn about the many subtle and complex interactions between insects, other organisms and the environment. In your book you state that winter is a very critical period for ladybirds and, during this time, they survive entirely on their own fat reserves. How severely do you think ladybird populations in the U.K. will have been affected by the very long and cold winter we have recently experienced? Every year winter conditions result in the death of ladybirds – winter is a tough time for ladybirds in Britain. However, they have many amazing adaptations for surviving the adverse winter conditions. Ladybirds recently began to wake up from winter and I am reassured by the observations I am receiving from people across the country, through the UK Ladybird Survey. The arrival of the Harlequin ladybird in the U.K. has obviously been a very big concern and has been covered extensively in the media. How serious a threat do you feel this is to our native species and are there any viable steps that could be taken to halt the spread? The harlequin ladybird, Harmonia axyrdis, is an invasive alien species which is predicted to cause problems for a number of insects. It is a voracious predator and not only has the potential to outcompete other insects but also eats the other insects. The 2-spot ladybird, Adalia bipunctata, was a widespread and common species during my childhood. Not so now. I worked with a team of scientists, using the observations received through the UK Ladybird Survey from many, many people (an inspiring number of volunteers), to look at how the distribution of native ladybirds is changing in response to the arrival of the harlequin ladybird. A number of species appear to be declining and the 2-spot more than most. Unfortunately there is nothing that can be done about the harlequin ladybird but it will be interesting to continue to monitor this species and its interactions with other species in the coming years. Additionally the harlequin ladybird has demonstrated the effectiveness of people at recording alien species, and with the rate of new arrivals increasing rapidly people can play an extremely important role in surveillance and monitoring. I invite people to submit sightings through a recording form developed for species surveillance (including alien species) at the BRC. For any amateur naturalists who are interested in ladybirds and wish to get involved or help in some way, what would you suggest is the best way to do this? Do you have any plans for further books? I have a passion for writing. As a teenager I contributed to the newsletter of my local natural history society – I enjoyed writing and I hoped that people would enjoy reading what I wrote. Writing, coupled with my love of natural history, remains very important to me. I will definitely be writing another book… perhaps the parasites of ladybirds, which are almost as charismatic as their hosts, would be worthy of attention?